Anselmo Apelado Laureta, Jr. born October 4, 1928 in Lupao Nuevo Ecija, Philippines to Anselmo Orofino Laureta, Sr. and Felipa B. Apelado. He is also predeceased by his loving wife, Nieves S. Laureta; brother Leon A. Laureta; daughters, Carol L. Calamanan and Gemma. He is survived by his children, Alexander, Jessica L. Quiling, Roberto, Oswaldo, Eleazar, Yolanda Laureta-Pae, Heraldine L. Lina Ermalee L. Cruz and Mayline L. Basilio. 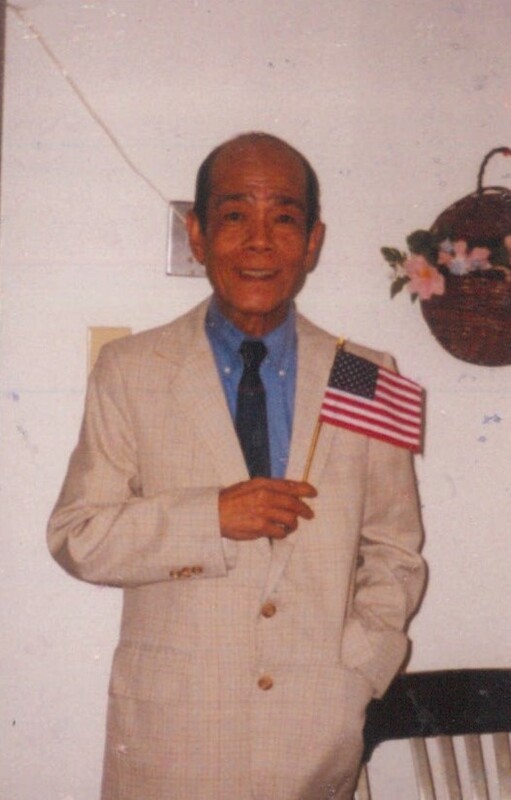 He finished Primary School at Lupao Elementary School, High School at Sacred Heart Academy, College at University of the East, Manila with the Bachelor of Science in education in 1952. He earned his Masters Degree in Management major in Public Management at the Central Luzon Polytechnic College Graduate Studies a University of the Philippines Constortium. He has a very extensive work history. He was the Municipal Secretary from 1951-1959 of Lupao Nueva Ecija where he grew up from and in 1960-1986 before coming to America he worked with Presidential Assistant on Community Development, DLGCD, MLGCD, MLG, DILG all under the Philippine National Government. He came to America in 1988 and got a job at Pennysaver National City San Diego CA as an inserter/binder and a 2nd job at Target Store #201 San Diego City CA from 1989-1991. They moved to Norfolk, VA in 1992 and worked as an Office Clerk at ODU personnel department and continuing education from 1992-1994 and in 1994-2011 he was a Clerical Assistant, Actg. Office Manager, Project Site Secretary AARP foundation/WSAS SCEP, Tatay was a real hardworking father. He was a man of simplicity, of simple words. Although his jobs kept him away from my mother and us when we were growing up, my father always made time with us. A disciplinarian always telling us to be good not just good but prove to everyone that no matter how small the task is when you do it, do it right. A bit of perfectionist. Our father was also a good singer and dancer. Whenever there was an occasion he was always asked to sing or dance. He is and will always be the best father, provider, giver, son, brother, uncle, grandfather, godfather, father-in-law, teacher and a man who loved and feared the Lord. I’m truly sorry for your loss. May the God of all comfort continue to be with you at this difficult time.